Imagine that the only issues of adulthood that anyone wanted to talk earnestly about were colonoscopies, mortgage debt, taxes, and the prospect of early-onset Alzheimer’s. Surely these are serious concerns, but they don’t come close to capturing what is really significant to a majority of adults on a daily basis. The point of this article is not to deny that crises of youth exist, or that we should not do something about them. Rather, I want to suggest that despite the worry and concern that crises engender, they are not the issues that seriously absorb youth. Not even close. This conclusion comes from years of clinical work, and a two-year research project focused on what is significant to school-age boys. I learned, for example, that getting stuck in a job that you don’t like is the worst fear most boys have about adulthood. That animals loom large in the thoughts and concerns of boys. 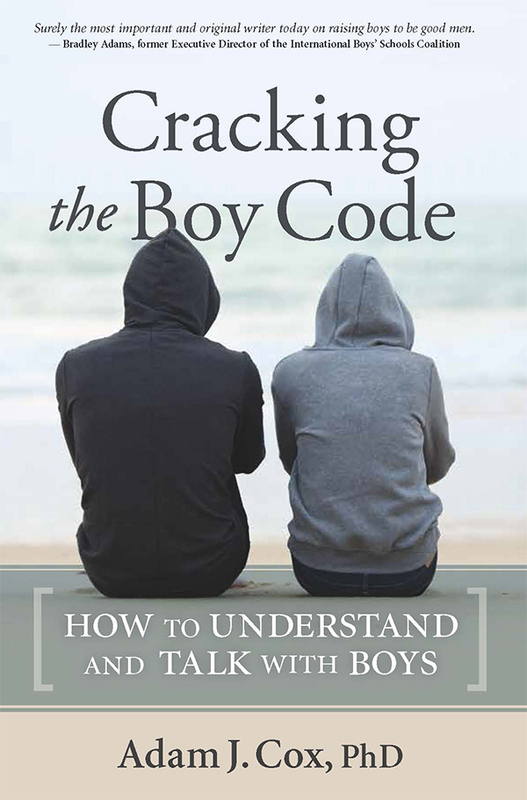 I also learned that boys rate happiness as being far more important than money, and that the idea of disappointing their parents makes them feel at least a little panicked – eager for a way out of that situation. In my clinical work and school visits, I’ve learned that girls wish more time was devoted to discussing vocations, and how to make an important difference in the world. I have been lectured by five year-olds about the virtues and problems of recycling, and by a twelve year-old about the immortality of jellyfish. These issues have less to do with crises, and more to do with the day-to-day concerns that occupy young people. It’s not possible to generate a definitive, final list of what topics interest young people, because it is continually evolving, and of course, “young people” is made of individuals with unique interests. It’s not clear to me whether such concerns are regarded as too transient or pedestrian to warrant dialogue, or whether we as adults feel such an obligation to protect young people that there is little time left for anything else. Unfortunately, because we seem to have little instinct or inclination for talking to young people about what is really important to them (and I don’t mean lectures about their character or values), the job has been taken up by media, with their incessant mania for commanding attention, regardless of the consequences. For the past two years, this issue has been the focal point of my talks, writing, and consultations with schools and communities. I have attempted to frame a different approach to interacting with youth that I call “wisdom culture.” The essence of this approach is to create a forum for the exchange of ideas, informed by reading, self-expression, and personal experience. By definition, this forum promotes open communication and an opportunity to hear the authentic insights and analysis of young people. Most critical, it is a forum that reverses the “top-down” relationship and tone that shapes most interactions between youth and their elders. For those who might be interested in improving the depth and breadth of dialogue with younger people, let me say a bit about communication dynamics. There are two major dimensions to communication: form and content. Although content is the focus of most attention and concern, it’s the form of our communication with each other that we remember, and which dictates the quality of human relationships. In a marriage, for example, this includes being as good at listening as you are at talking, having an ear for what is important to others, and knowing how to use the pace, pitch, and timbre of your voice to communicate effectively. I’m not sure if this sounds difficult to you, but it really isn’t, except for those who are deeply challenged to hear their own voices, and how their voice affects others. With respect to communicating across generations, the challenges are somewhat similar. However, we have to remember that most young people are hesitant to reveal their most pressing interests because they are unsure of how they will be heard and interpreted. Some kids don’t have enough life experience to believe in the universality of their thoughts, or that others would find them remotely interesting. This sort of doubt, however, may be well concealed by a bluff of confidence, disinterest, or misunderstanding. Another major obstacle is the way many young people have been conditioned to defer more serious thoughts because they might not be fully developed. For example, I know from experience that most young people between the ages of 11 and 16 have significant anxiety about the economy, and its implications for their future life. I’ve learned that young people are concerned that a shrinking economy (at least here in North America) may constrict their options, and thus adversely affect their identity and self-expression when it comes to choosing a vocation. Because this is relevant to so many young people, it is a conversation that should be facilitated everywhere. Not only would communication alleviate anxiety, it would help many young people put their concerns in perspective. Current events that speak to the moral ambiguities of life are a consistent winner with young people. If we skip the exploration, and assume it is solely our job to provide clarification and answers, we miss an important opportunity to build the critical thinking skills at the heart of effective citizenship. In order to have such a conversation, time has to be allocated to address serious questions in a thoughtful context. Yet that sort of reflection is in many ways antithetical to the prevailing philosophy of youth. We seem to believe that youth is all about preparation for better things to come; a testing ground in which one proves his or her capabilities, by repeatedly demonstrating knowledge of topics that others have decided have the highest priority for youth. Many adults have complained that they’ve tried thoughtful queries, but kids are non-responsive. I’m sympathetic to this frustration, because I believe it’s a real and persistent problem. The key to solving it is all in the tone (form) of communication. There is a way of asking a question which conveys authentic interest, but because so few of us are ever honored to receive that sort of inquiry, we are desperately out of practice in offering it to others. Yet tone is the critical element of table-setting when it comes to great conversation. An optimal tone conveys not only interest, but respect, and a sense that a topic has gravity beyond the pragmatic concerns at hand. These sorts of interactions are not necessarily momentous, but they are affirming, and they absolutely build relationships. Even more, they provide a counterpoint to being talked at by media. That is the most critical transition – getting young people into a place where they feel brave in making their perspectives known, while also being accountable for the content and manner of their expressed opinions. There is some fear that such circumstances invite anarchy, but my experience is very different. I have seen that a more egalitarian forum for communication promotes responsibility and conscience. If we truly want to propel a more conscientious generation, we must spend less time extolling the virtues of character, and more time bringing it to life via authentic exchange. It’s difficult to describe exactly how conversation spurs moral growth, but there is something about the resonance of words, and the tone with which they are delivered, that heightens awareness. Conversations that drill down for “the truth” are interesting, and often dramatic. Last summer, I had an unexpected opportunity to talk with younger children about their recent visit to a museum. The conversation began with queries about what they saw, and what they liked, but then evolved into a conversation about exhibition design, including the height at which paintings are hung on walls. Also discussed was the problem with not being able to talk while you are looking, the importance of lunch, and the consequences of being thirsty at the wrong time. The effect of the conversation was, I believe, that these children began thinking more flexibly about how exhibition spaces might be adapted to their needs, thus making the experience of art more meaningful and immediate. An easy extension of this discussion involved learning how to think empathically and analytically. In my role as facilitator, a primary offering was respect in the sense of seriously regarding the young participants as prospective museum directors. The warmth and eagerness to help that followed this discussion was tangible evidence of its contribution to building constructive relationships. When we do invite conversation of this kind, it is critical to avoid a tone of condescension, which may inadvertently come through in asking questions with a higher pitch voice, or with overly simplistic language. Especially with younger kids, many assume that adopting a voice or verbiage that sounds childlike (to an adult) is a good way to connect. Not so. The best way to connect is to convey serious regard for what a younger person is saying. This is well accomplished by asking for frequent clarifications, and introducing technical concerns. If, for example, you suggest that a child’s idea for where to place a bird feeder is at odds with the ecosystem of the backyard, you will have introduced an interesting question about the fusion of science and aesthetics. A great phrase is a simple one: “What do you think?,” and a great place to begin. The same goes for dinner time conversation with adolescents about politics, the economy, and especially – work. Kids have plenty of experience hearing adults complain about work, but relatively less hearing adults discuss the complexities, fascinations, and rewards of work. We are, on whole, an industrious species. We build all sorts of things, and create complex systems. Let’s talk about them. Even for those who may adopt the sorts of strategies outlined above, there is inevitably a degree of disappointment if you, as the adult, have to do all the work. By this, I mean that most of us would like to think that there is some potential for more reciprocal, mutually motivated communication. Well, that potential does exist – even for kids with significant communication challenges. Once again, the key is tone, and locking into relevant content. I know that some will remain skeptical, and if I hadn’t spent the better part of two decades working on this approach I might be skeptical as well. More recently, and based on my research and group work with young people, I have come to believe that even great reciprocal exchanges don’t go far enough. We need to teach and encourage young people to initiate inquiry. Specifically, it feels important to leverage the natural interest in people, and especially themselves, that children and adolescents have in abundance. Because it’s important to keep things practical and productive, I like emphasizing inquiry around basic aspects of identity. For example, asking students for their appraisal of themselves relative to peers, and inquiring about their identification with parents and siblings. This enables fairly straight-forward questions, which tend to reduce anxiety and yield tangible responses. When these topics can be fused with literary themes and current events, the foundation for a wisdom culture emerges. It won’t be possible to move toward more resonant dialogue with youth without transcending the roles of protector, teacher, or advisor. Of course there is a place for all of those roles, but it is in the ability to step out of those roles and into a more egalitarian relationship that the really great work happens. This means making answers secondary to the energy generated by complex questions. It means regarding youth as a phase of personhood no less complex or complete than adulthood. It means offering youth the most useful and needed manifestation of love possible – respect.